Principal of Hansen Surveys since 2007 and Registered Surveyor in Queensland for 30years. Extensive involvement in the private development sector throughout Queensland as a consultant surveyor with significant experience in the areas of cadastral (boundary) surveying, engineering survey and design, construction survey & supervision, mining survey and land planning matters. Geoff has 40 years’ experience in the industry worldwide, has undertaken geodetic survey associated with military and international airports; tunnels, bridges and dam surveying ; aerial mapping; open-cut mine surveying; oil and gas pipeline surveys; power station and infrastructure surveys; volcanic deformation earth crust surveys. Geoff’s current duties include management of all field operations and supervision of office processing and product completion. 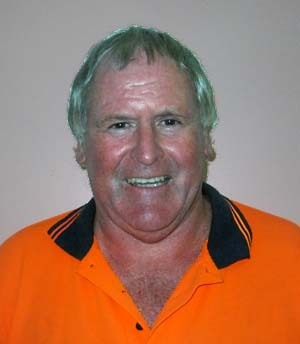 He is currently an examiner for the Queensland Surveyors’ Board. He is also a founding member of the Surveying & Spacial Sciences Institute (SSSI) and a member of the Urban Development Institute of Australia (UDIA). Carolyn Cheney is the General Manager for Hansen Surveys and has been working for them for over a decade. Her duties include compliance to workplace, health and safety requirements, human resources and administration. She has workplace, safety and health officer certificates, including a postgraduate qualification in ethics and legal studies and a certificate III in engineering CAD. Reg Tighe has 40 year’s experience in the surveying industry. He began his career with Main Roads as a surveying field assistant and progressed to engineering surveyor on road and infrastructure projects. He has extensive experience in the day to day organisation of large scale development surveys, power line surveys, construction related surveys and land seismic surveys and GPS surveys. Reg has been with Hansen Surveys for over a decade and is responsible for engineering surveys and assists the senior cadastral surveyor. Richard Hume is a surveyor of over 40 years’ experience. His key areas are engineering surveying, construction surveying, cadastral surveying, hydrographic surveying, topographical surveying and project management consultation. Experience in oil refineries, bridges, sewer and water infrastructure, cadastral surveying of large canal and locked lake developments. He has held positions of responsibility within the Queensland Government Titles Office. Richard’s responsibilities with Hansen Surveys are to advise on government and private sector policy; the auditing of plans and documentation; development of quality systems and procedural methods.